This summer, we are launching the 2012 DDP Summer Video Series featuring in depth interviews and presentations from today’s drug delivery leaders. 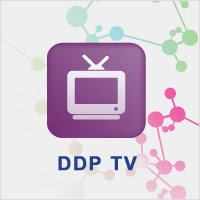 Today we bring you Part 2 in our DDP TV Summer Video Series, where we feature in-depth interviews and presentations from today’s drug delivery leaders. You’ve already heard Dr. Geoffrey Hird, discuss why formulation technology is critical to providing value to drug products. “A little kid in a developing world country right now is being murdered because a doctor is too lazy to walk to the storeroom and get a clean syringe.” Marc Koska, Philanthropist and Inventor of first non-reusable syringe. Koska’s innovation has helped save upwards of 10 million lives around the globe. At Drug Delivery Partnerships, hundreds of pharmaceutical and drug delivery thought leaders come together to develop partnerships to create the next great product that will bring relief to millions of patients. Sign up for updates on the 17th Annual Drug Delivery Partnerships Conference taking place February 6-8, 2012, in San Diego, CA.